The Goldberg family has lost their Hanukkah dreidel! It has been in the family for many years, and they can’t find it anywhere. Hanukkah has almost arrived, and they are not sure what to do. Write a story and tell how you think the Goldberg family should solve their problem. 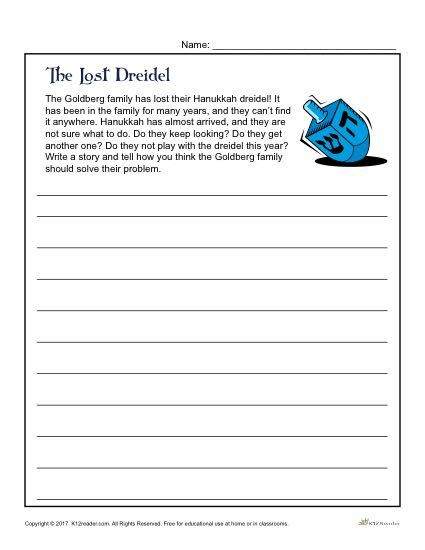 This printable Hanukkah writing prompt activity is perfect for keeping students engaged in class while learning about the holiday. Ideal for 3rd – 5th grade, but can be used where appropriate.